The Curve of Forgetting - The blue line on the graph dips into a curve to show that our memory of new facts we have learned declines over time, unless we revise that information regularly. There are 4 pink curved lines to represent how our memory retention will be higher if we revise the information we learn. 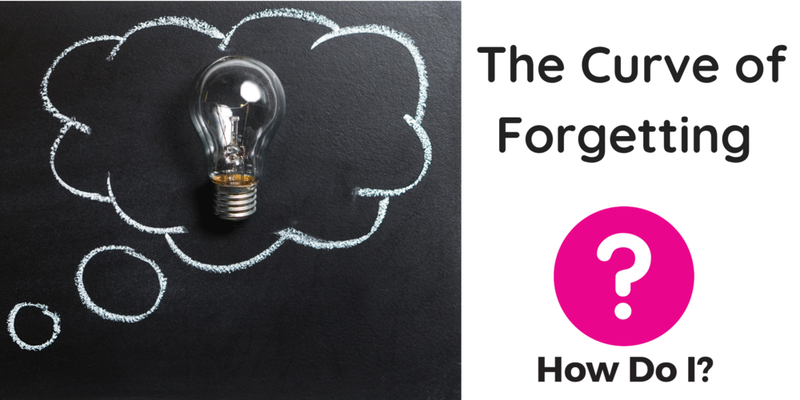 A 19th Century German Psychologist named Hermann Ebbinghaus pioneered the experimental study of memory and he is most famous for his discovery of The Forgetting Curve. In one of his experiments, he recorded his memorisation of nonsense syllables and tested what he could remember after various time periods. When he recorded the results on a graph, he found that his memory of the syllables declined over time – producing a curved line. This means that unless we periodically review new information we have learned, our memory of it will decline over time. · How the material was learned e.g. online course, video, workshop, etc. Inadequate training can contribute to problems in a stressful workplace, that could cost the UK economy £33.4 – 43.0 billion per year, and lost tax and national insurance revenue of £10.8 - £14.4 billion per year. To successfully train employees it’s important to consider all of the above factors in your organisation’s Learning and Development strategy because they are more likely to use and remember training tools designed for them. 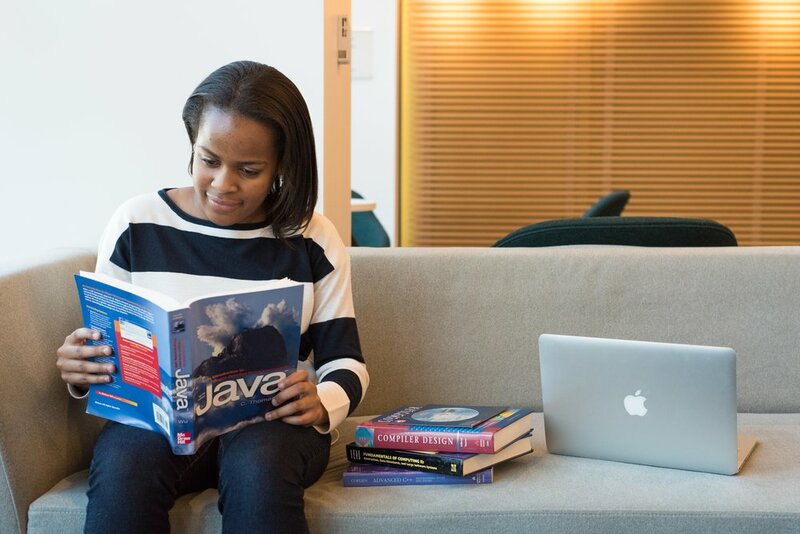 Hannah is reading a book about Java and has her other study books and Macbook sitting next to her on a couch in the break room. For learning she loves to read books if possible, but due to her disability she can’t always carry heavy hardbacks everywhere she does so it’s great for her to access the material through the internet. 1. Make learning accessible - If employees can review what they have learned on a regular basis, they’re less likely to forget the content they have learned and be sent away for training again. For example, the How Do I app can be used with NFC stickers that can be accessed at any time with a simple tap of your phone. 2. Use learning tools that were designed with a human-centered approach. We have a guide for using human-centered design in e-learning and how you can design e-training around your employees’ schedules, their learning styles, etc. 3. Teach managers about The Curve of Forgetting and ask them to train colleagues with this theory in mind. Managers may become more likely to pick courses, workshops and training tools that encourage colleagues to regularly review what they learn. Paul (left) is mentoring Holly (right) so that Holly can become a manager. 4. Present employees opportunities to use the knowledge they have gained in a safe environment. Depending on what their role is, this may not always be possible for employees, but practicing their new skills could give them more confidence in doing the job, delivering a service or helping customers – which is important for giving clients confidence in your organisation. 5. Introduce a workplace mentoring scheme. 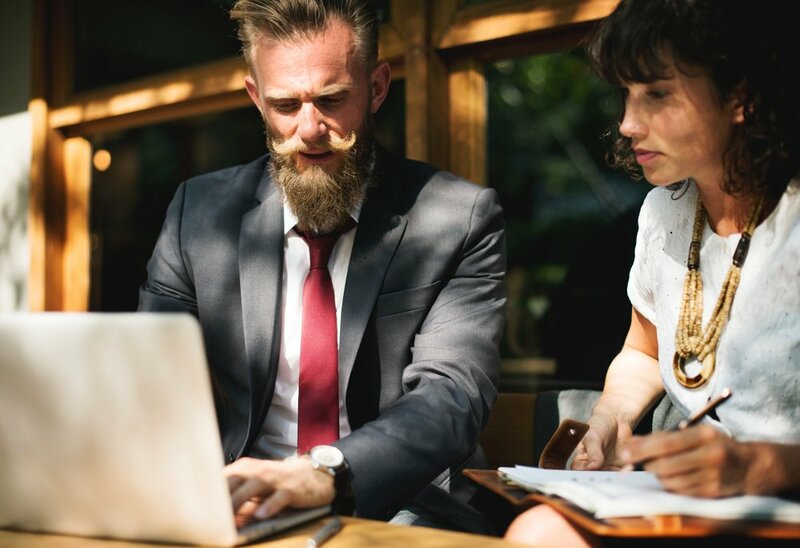 When a usually senior employee mentors a junior employee, they develop an ongoing relationship that can last for a long time and pass on knowledge and advice through regular meetings. 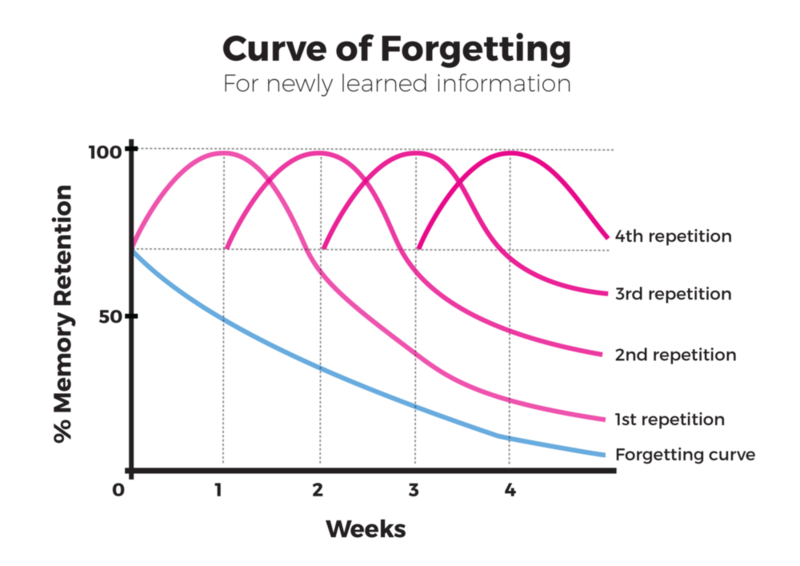 This model for learning could be perfect for defending against The Forgetting Curve. Drop us a line on hello@wearehowdoi.com to find out how we can make your training and onboarding more accessible.